One of the biggest tells that you are getting older is when wrinkles and fine lines start becoming more noticeable on your face. Obviously, this is troublesome for anyone that is concerned with maintaining their youthful look. While you may love being in the sun, heightened levels of exposure to UV rays can cause skin damage and result in signs of premature aging such as wrinkles and fine lines. To reduce your risk of sun damage, always be sure to wear sunscreen and a large hat to protect your face from direct sunlight. When your face is clean, fine lines and wrinkles are less likely to appear when your skin is absent of oils and dirt that can clog pores and further contribute to skin problems on your face. Moisturizers are a great product that helps your skin stay nourished, so it looks and feels soft and supple. You can try this wrinkle remover without surgery, which can greatly improve your skin tone to get a much younger-looking glow. There is a lot of truth to the old saying about getting enough beauty rest. Sleep is essential to prevent the overproduction of cortisol, a naturally occurring hormone that is destructive to skin cells. Smoking is a dangerous habit on many levels. Not only does this activity contribute to the development of many serious health conditions like cancer, every time you draw in and inhale, you are causing stress and damage on your facial muscles around your lips and your cheeks. 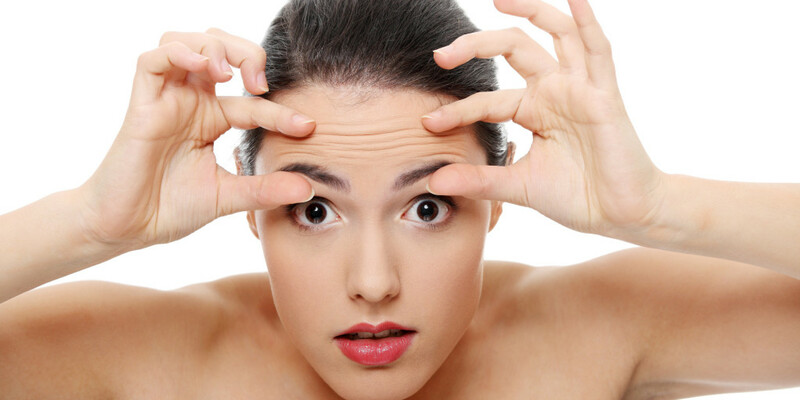 To keep wrinkles around your eyes at bay, avoid squinting your eyes at all costs. If you are having troubles reading, schedule an appointment with your eye doctor for an eye exam. When you are outside in the bright sunshine, always wear sunglasses to protect your eyes so you do not have to squint to reduce glare. In order to give your body the nutrients it needs to provide on a cellular level, be sure to eat plenty of fruits and vegetables every day. These foods contribute to a healthier glow and make you feel better, too. By sleeping on your back, you are not putting pressure on your face for several hours at a time which can contribute to lines in the morning. Over the course of several years, your sleep patterns can have a major impact on facial lines. Alcohol consumption can have a lot of negative effects on a person’s looks. By limiting or eliminating the consumption of alcohol in your diet, you can decrease the fine lines and damage that alcohol does to your body. If you have started noticing fine lines and wrinkles, the sooner you start following these anti-aging tips, the better. Since they are all relatively easy to do, these are not difficult habits to start adopting in everyday life.